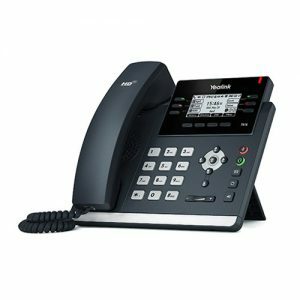 $19.99/User/Month Includes Yealink T41s Phones! 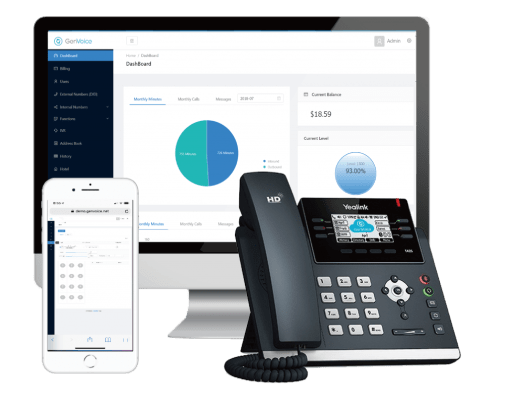 This list below shows the essential business Cloud PBX phone system features, from the legacy phone system to cutting edge cloud-based PBX business phone system, because these features are important and mandatory for any business, so make sure you have these features enabled in your office workspace. Unlimited extensions for either departments or persons. There is no longer a license issue with limited extensions. The administration portal will allow you to fully manage the phone system and monitor all call statistics. You will be able to transfer existing phone calls to different phones, departments or a specific person’s cell phone. Forward calls to salesperson’s mobile number so that they can take care of customers even when away from the desk. Put calls on another line while accepting other calls. Eliminate dropped calls and frustration with calls not coming through. A great way to distribute incoming calls for specific departments or teams in the business. Limited Time Offer Of Cutting Edge Cloud PBX Phone System With Brand New Phones. Plan Comes With Yealink T41s Brand New Phone. All Plan Comes With Great Free Features! The modern business needs a phone system for modern times. 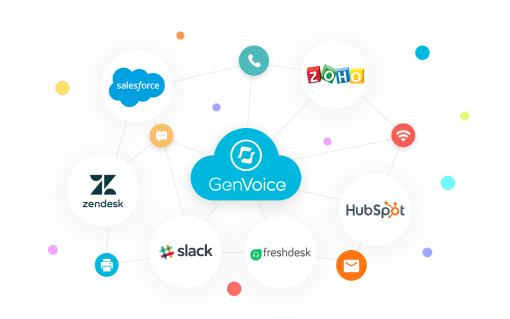 So that GenVoice offers your business a truly cloud PBX business phone system that will help your company succeed. Because it is pure in the cloud, so it means more stability, scalability, security and the most important is, cost efficient! A pure cloud PBX business phone system just designed for your company! Connect the phone set to the internet and start talking, or just using the mobile app, simple like that! GenVoice Cloud PBX business phone system will take your business to the next level. Because you can easily see every phone call made in your organization and manage the entire system on your fingertips. 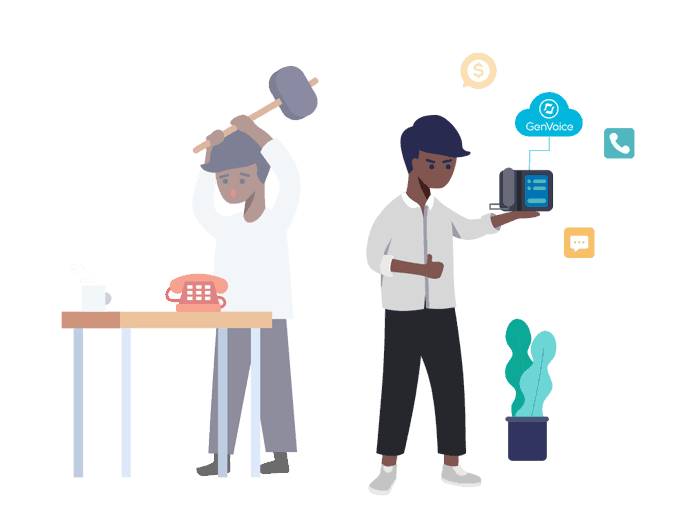 And also, the system can seamlessly integrate with Slack, Stride, Asana, and other CRM, helpdesk systems to track and improve your calls productivity. More efficient and simpler than ever. Security is the highest priority with GenVoice. Customer’s privacy is always protected with no sacrifices! With GenVoice, we run our services over Tire 1 cloud infrastructures, so we ensure 99.999% uptime at all time! Follow us on our latest insights. Success! Thanks For Subscribe GenVoice New Letter!